Lent, Day 9: Need a parable? Why not Zoidberg? Hooray! Someone's paying attention to me! In any case, you’re probably wondering why I bring up the show. Well, it’s to talk about our good “friend” Dr. John Zoidberg. 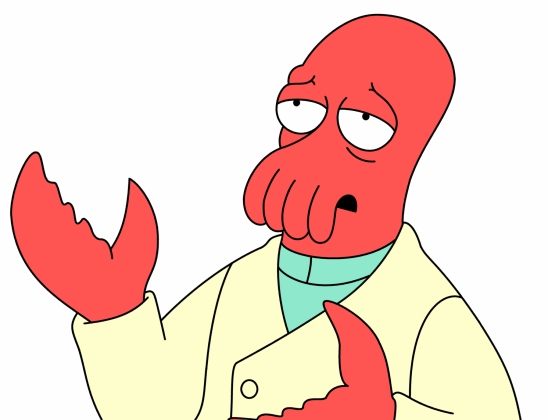 Zoidberg is, for lack of a better term, the punchline to a joke nobody told. He’s a horrifying humanoid crustacean, complete with an over-the-top stereotypical Jewish accent, with an expansive knowledge of alien biology, but not so much human biology. If he weren’t on earth, he’d be a great doctor. But no, he works on earth. And his incompetence is hilariously evident. He’s a walking contradiction: a doctor without money, a compassionate person with few friends, and when you’ve got nobody else to blame for a problem, why not Zoidberg? So he’s set up as a bit of a loser, and you can’t help but pity the poor crab. In one episode of the show entitled “300 Big Boys,” the government of earth wound up with a surplus, and gave every citizen a stimulus check for $300 dollars. The focus of the show was to see how everybody in the cast would use their money now that they’ve got a bit of spending cash. Fry, realizing that $300 could buy him about 100 cups of coffee, sets out to do just that: drink 100 cups of coffee. Leela wants to swim with a whale, for some reason. Bender buys some thieving supplies so he can steal the world’s most expensive cigar, Professor Farnsworth buys some stem cells so he can make himself young again, Hermes buys his son some Bamboo Boogie boots, Kif spends it on a date with his paramour Amy, and Amy buys a talking tattoo. Did I mention this show’s a comedy set in the future? Okay, just making sure we’re on the same page. Anyways, all this is going on, and in the background, we have Zoidberg. Zoidberg has never had this much money in his life. In his mind, he’s rich! So what does he do? He goes out exploring how rich people live. He tries golf, but to no avail; his claws cut through the club. He tries caviar, but realizes it’s fish eggs, spits it out and says he can eat fish eggs for free if he goes out searching for it. In the final scene, he’s at a high-society party, and asks buy an incredibly expensive work of art for $300, and is laughed off the scene. Finally, he realizes that all these pursuits of what he perceived as living the good life were to no avail. 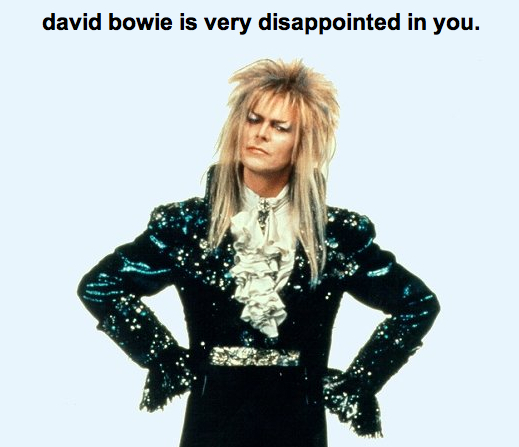 Dejected, he leaves the party, finding some homeless folk in the alleyway dumpster diving. 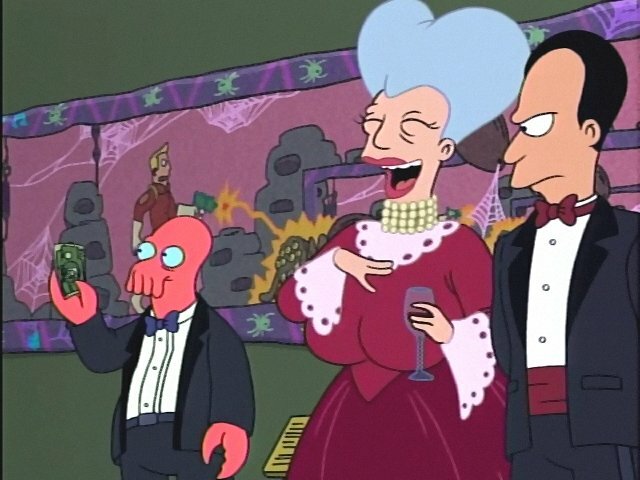 Knowing intimately how much it stinks to be poor, Zoidberg then proceeds to buy a feast of turkey dogs for the homeless guys and throws his own banquet in the alleyway, and when everyone inside discovers the feast, they join it with gusto. 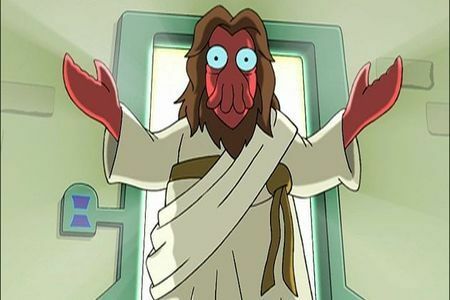 Zoidberg thus proves Jesus right. In reaching for the most honorable seat at the table, he is rejected and sent away. In acknowledging his own place of humility, and throwing a feast for the homeless, he finds true peace and fulfillment. He was truly blessed, because they couldn’t repay him. The dishonored were honored, and the rejected found a seat at the head of the table. So next time you need an example of where true fulfillment and happiness lies, why not Zoidberg? This entry was posted in Uncategorized and tagged Banquet, Futurama, Jesus, Lent, Uncategorized, Zoidberg. Bookmark the permalink.